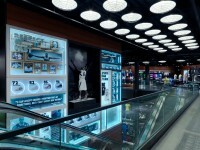 Renovation of existing store and expansion into adjacent space. 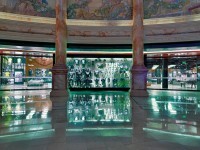 The store is planned around a centrally located atrium, The Players’ Lounge, visible from both shopping levels. Intended to be the stage for ever-changing, dramatic product initiatives and events, this space is designed with versatility and flexibility in mind. 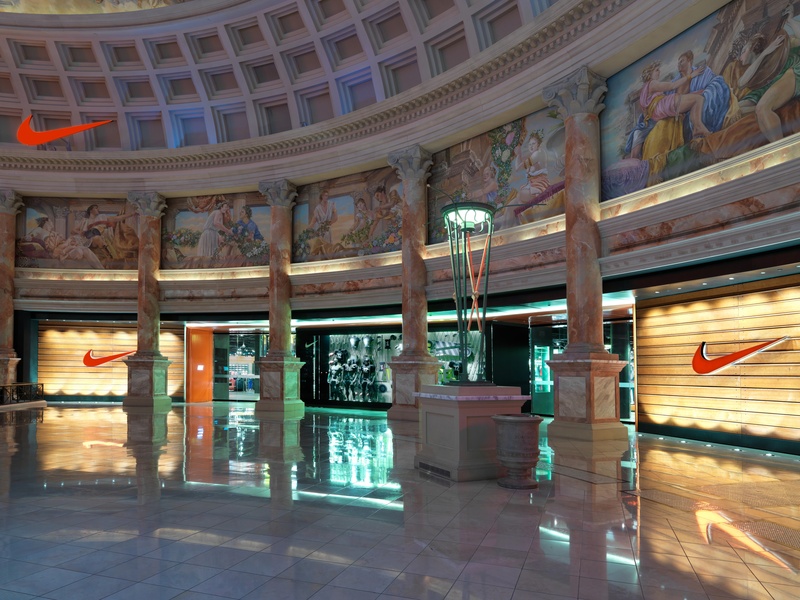 The result is a new, expanded, vibrant, Nike Brand Experience store, befitting its location in the Forum Shops at Caesar’s Palace. Completed in September of 2011. 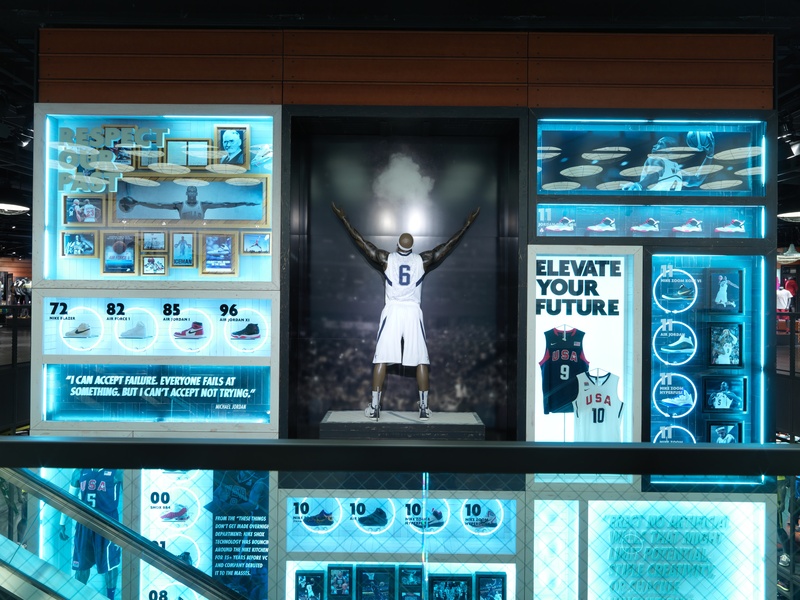 View of Nike Basketball timeline. 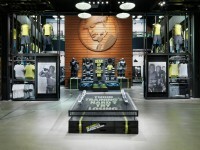 Display of Nike Basketball timeline.